Need a powerful, reliable and comfortable lawn mower? Then look no further than John Deere. At John Deere, our goal is simple. We aim to provide you with the very best lawn tractors and walk behind mowers; mowers tailored to your garden and exact requirements. 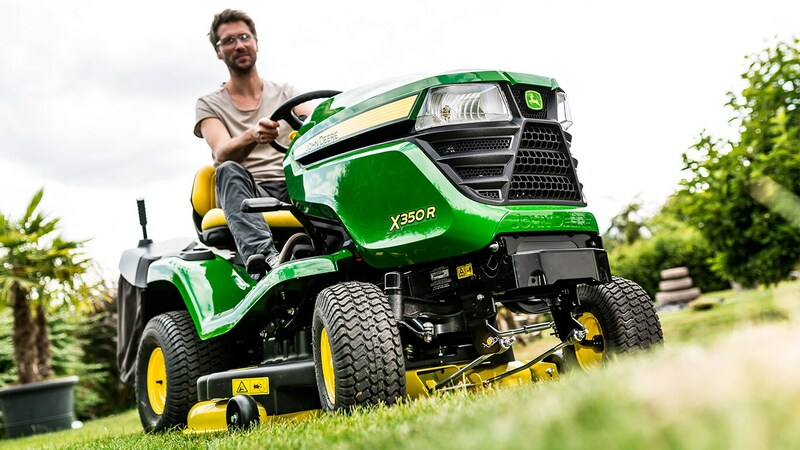 Tried and tested cutting-edge technology and the very same innovative developments that produced our large John Deere tractors have all been used to create the ultimate mowing experience. Our mowers put the pleasure back into gardening. I'd like to have a healthy and lush green lawn! Cutting your grass regularly is one of the best ways to ensure vigorous, dense growth. 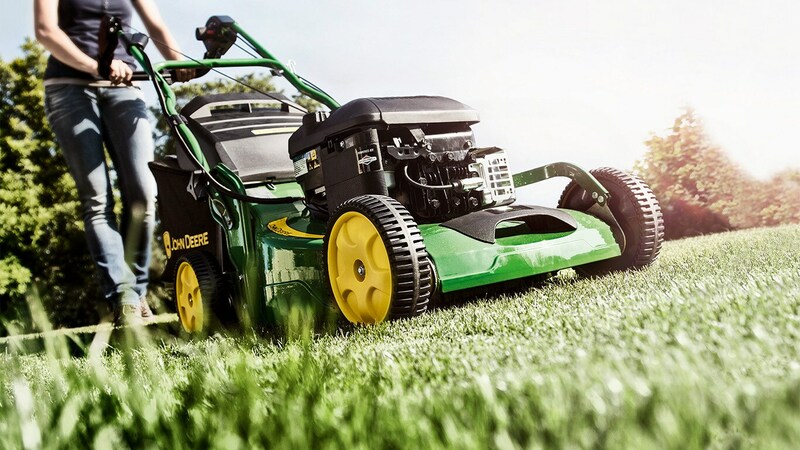 A John Deere mower cuts your lawn smoothly and cleanly, helping to protect against disease. But I don't have much time to mow the lawn. Another reason to choose a John Deere: sit down, start up, mow away – it couldn’t be easier. Powerful, reliable performance ensures you get the job done quickly and efficiently. Should I fertilise my lawn? Every healthy lawn needs to be given nutrients to excel. The John Deere Mulch Cutting System provides a natural, environmentally friendly fertiliser, cutting and recutting grass clippings whilst blowing them back into the lawn. Are John Deere machines easy to operate? Definitely! What goes for our Agricultural tractors also goes for our lawn tractors. Optimum operator comfort from a simple and intuitive design, with features such as a user-friendly dashboard and electronic speed control. Our walk behind mowers are easy to operate too, with simple-to-use controls and an ergonomic design. Safety is one of my top priorities. We feel the same. At John Deere, safety is in the invisible details. For instance, the engine switches off automatically when you leave your seat. And with most models, the deck stops mowing when you reverse. Is a lawn tractor only for the summer? It doesn’t have to be! John Deere machines are useful all year long. 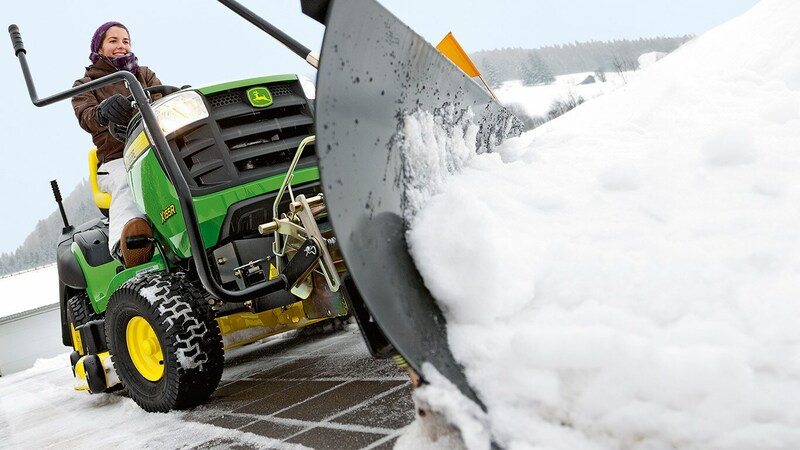 By simply adding the right attachments, you can clear leaves in autumn and even snow in winter. Mowing the lawn should be fun! Climb on board - you’ll love the large, comfortable seat and the outstanding manoeuvrability of our lawn tractors. Our powerful and efficient walk-behinds won't let you down either. 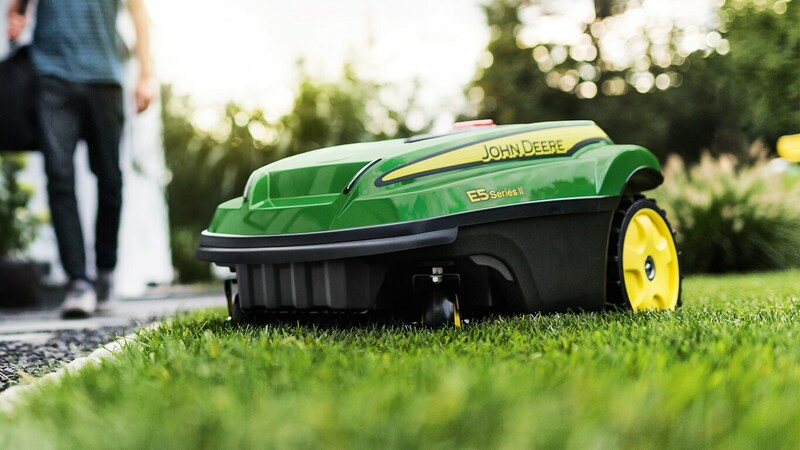 The ultimate in comfort, John Deere puts the pleasure back into mowing! I need a reliable partner. No problem. You will always find a nearby for your maintenance and servicing needs. Why choose john deere? undefined YORK, North Yorkshire , Nottinghamshire , North Lincs , Lincoln undefined RBM Agricultural Ltd.